Due to increased screen time and lack of outdoor exposure, teenagers are particularly susceptible to sustained eye strain and rapidly deteriorating vision. Myopia progression is on the rise amongst teenagers. PM is a 14-year-old teenage girl of Indian descent. Both of PM’s parents reported having low myopia of approximately -1.50 diopters. PM began the journey of wearing glasses for myopia (also known as nearsightedness) when she was six. Initially, PM felt she has ‘OK vision’ in general, and her parents were not so concerned about her vision when she was young because they thought ‘the prescription was low and not too bad at that time’. Recently, PM reported that her vision ‘is no longer as good as before’ even though she recently got stronger glasses once again. Shockingly, PM was told by another eye care provider that her prescription has increased by almost 6 diopters in the past eight years!! Her parents became concerned, so they came to Treehouse Eyes for a consultation. Upon evaluation, I was astonished that PM had over -10 diopters of myopia. Without her thick and bulky glasses, PM can hardly see anything unless the object is close to her face. Her retina also shows a noticeable thinning condition, which indicates a relatively high risk of retinal detachment. Indeed, PM’s condition is very concerning for she could lose her eyesight permanently if it continued to worsen. After a thorough assessment and discussion, I recommended PM to have custom soft multifocal contact lenses to help slow down the myopia progression. 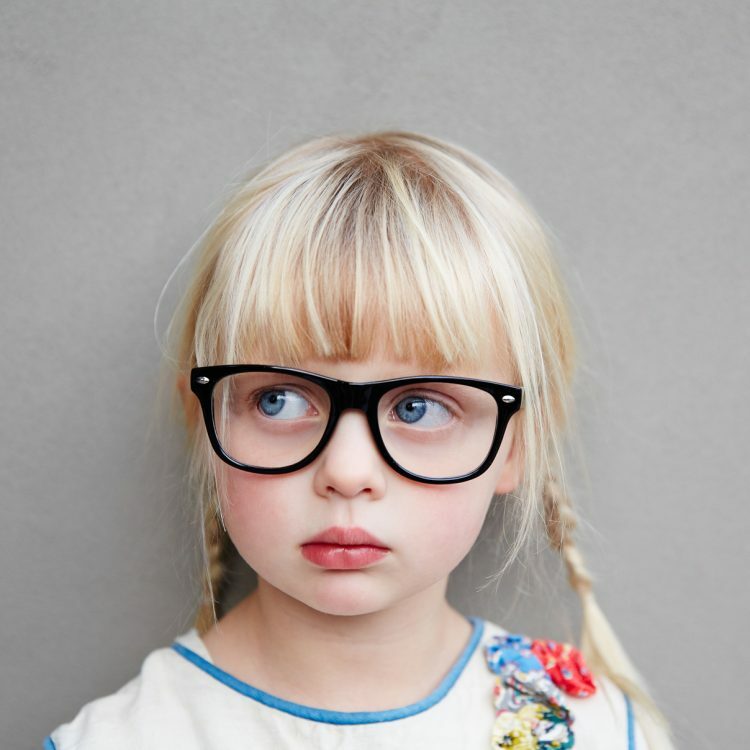 Given that she is already an adolescent and with such a high prescription, it is probably the last chance to arrest further myopia progression. Never having worn contacts before, PM made a promise to herself that she would ‘make it work no matter how many times she needs to try’. I admired her remarkable motivation to learn, and she managed to handle the contact lenses confidently after three visits. After one month of follow-up, PM’s custom soft contact lenses enable her to see 20/20 at all distances! We expect to see PM back for the next follow-up in three months to monitor her myopia. Because of her perseverance, she is seeing well without glasses and we can work to stop her myopia from getting worse to give her healthier vision for life. 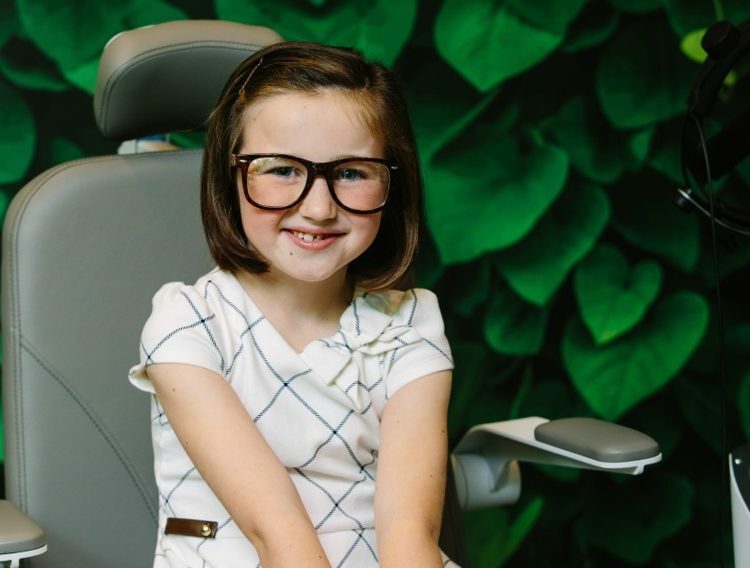 If your child’s vision continues to deteriorate, and you want to know more about what can be done for them, please visit our website at TreehouseEyes.com and schedule a complimentary evaluation with me, or call our Bethesda office at (240) 297-1017, or Tysons Corner office at (703) 991-2766.